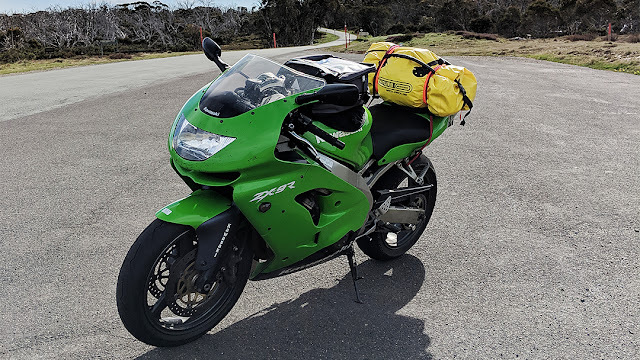 Another weekend another two-wheeled camping adventure, this time out towards Eildon to a place called Snobs Creek. With our bikes all packed and full of fuel we headed up through Kangaroo Ground with our first stop at Healsville for a much-deserved coffee. The weather has been kind to us this time around with blue sky as far as you can see. 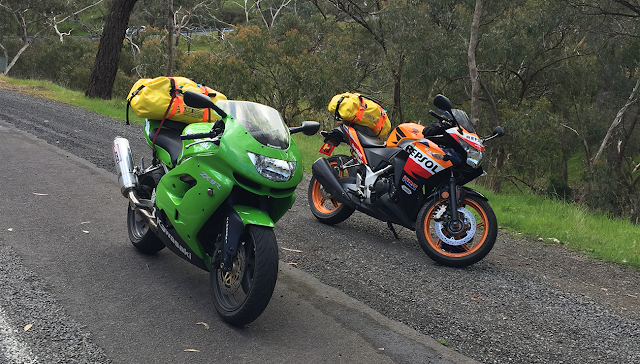 From Healesville, it's motorcycle heaven up through the hills towards Narbethong. If you haven't done this road before, I'd suggest you get onto it, if not for the roads then for the scenery. It would have to be one of Victoria's top 10 roads to ride. Just watch out for the plod, they tend to frequent there regularly for breathos and licence checks and catch out those who get a little too ham-fisted on the throttle. After Narbethong it's a cruisy but scenic country ride, with the occasional road kill to keep you on your toes along the way to Snobs Creek. We got to our destination by about 4 pm and set about looking for a place to camp. The area is very hilly so finding a flat spot was proving difficult. Before long we settled for the smoothest patch, we could get and set-up camp. It wasn't long before some of the locals decided to mosey on by for a feed and join us for a drink. I was slightly worried they'd look at my green Kawasaki and think it was some sort of feed. The views at this place are nothing short of amazing, the undulating hills roll on for as far as the eye can see and everything is so green. It made for some great bush TV as we sat down and took in the views as it turned to night and the sky opened up with billions of stars, something you don't see a lot of living in the city. 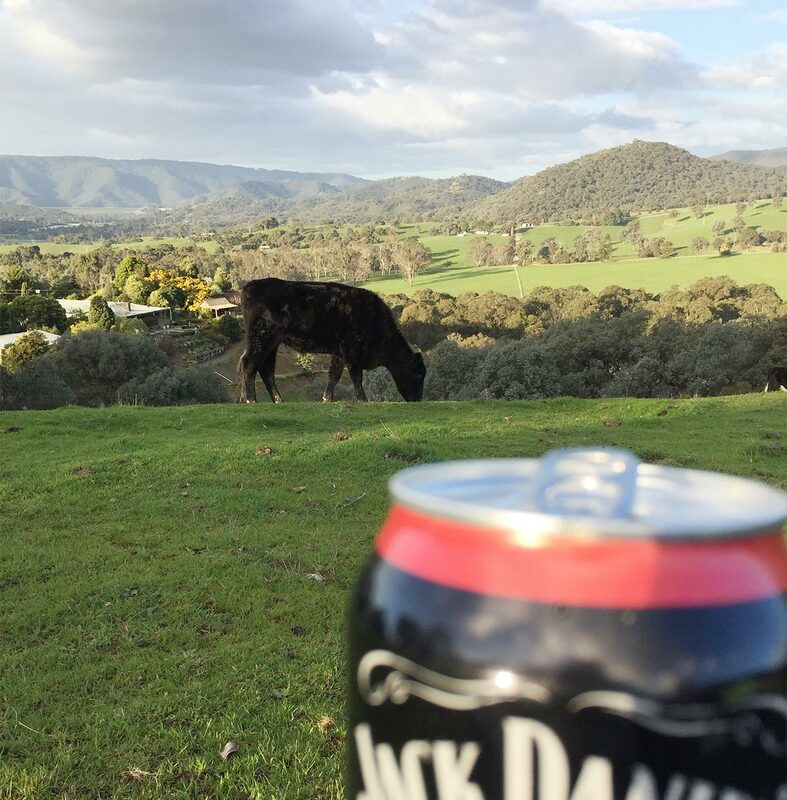 Dinner was a can of chunky soup washed down with Jack Daniel's before heading to bed. 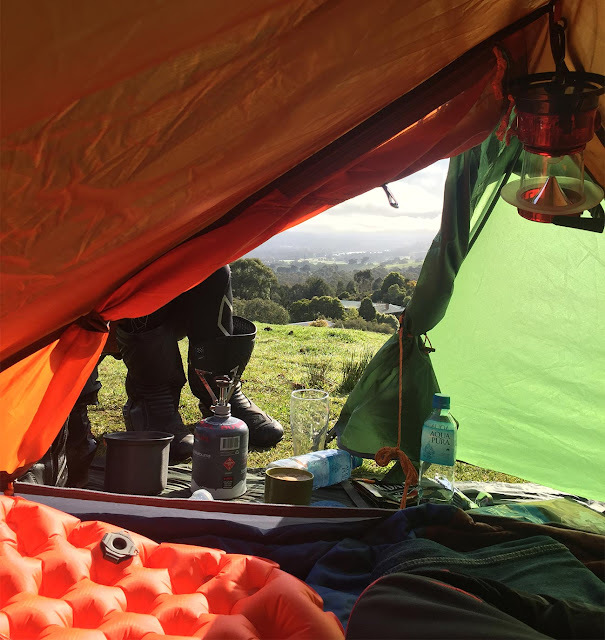 The following morning we were rewarded with views across the hills from our sleeping bags and perfect blue sky. After our morning coffee, we packed up and couldn't wait to get out on the bikes for some spirited riding. We stopped at Yea for breakfast, for the half hour we were there we were remunerated with our very own motorcycle parade. It seems the great weather had every motorcyclist in Melbourne head for the hills. After more twists and turns than I can count, we finally made it home. If you're looking for a place to stay, Snobs Creek is on Airbnb and if you don't want to camp there's accommodation on the property for couple or groups.